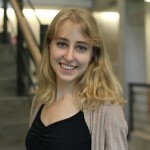 Emily Fister is a second year student at the UBC Graduate School of Journalism specializing in human rights and cultural issues. Her passion for social justice reporting started in the summer of 2012 with an academic internship at the Centre for Independent Journalism (CIJ), a media monitoring NGO that focuses on press freedom. While at CIJ, Emily had the opportunity to develop an anti-censorship campaign called “Stop 114A” on various social media platforms. Recently, she completed her internships at CBC Radio’s Day 6 program in Toronto and The Tyee in Vancouver. Emily holds an Honours Bachelor of Arts in Media Studies from Western University and is endlessly curious about new media and global communications. Gian-Paolo (GP) Mendoza is a multimedia journalist and videographer born and raised in Vancouver, B.C. As a journalist, he is interested in covering anything, from community activism in the city to First Nations issues. As a videographer, he loves telling unique stories with captivating pictures. He has a mixed bag of work in media: he’s had stories aired on CBC Radio, produced for CBC Music.ca, and has worked at a number of local video production companies. 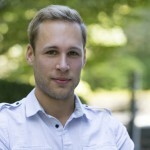 He is currently a second year graduate student at the University of British Columbia Graduate School of Journalism, and equally loves a good documentary and a strong cup of coffee. 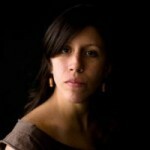 Valentina Ruiz Leotaud is a second-years student at UBC’s Graduate School of Journalism. She is also a multimedia and multi-platform journalist from Venezuela, proficient in both long-form and 140-character pieces. In Canada, she completed an editorial and social media internship at the Vancouver Observer, Global National and GuideBook Magazine. She’s interested in producing in-depth journalism on social issues with a focus on minorities. 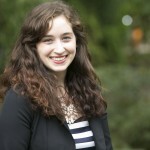 Olívia Zauli Fellows is a second year student at the UBC Graduate School of Journalism. Born and raised in Brazil, she moved to Vancouver to pursue her undergraduate degree in Anthropology. Fascinated by new people and places, she plans to focus her career on international culture reporting. Olivia has obtained professional experience in video and print journalism during her time at Daily Planet on Discovery Channel Canada, The Tyee, and Modern Dog magazine. 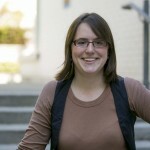 Pauline Holdsworth is a second-year student at the UBC Graduate School of Journalism. Over the summer, she completed internships in current affairs radio and television at CBC Vancouver and wrote for The Tyee. A central Pennsylvania transplant who has been living in Canada for the last five years, Pauline is interested in public health, climate change, and how people relate to the places where they live. She holds a Bachelors degree in English from the University of Toronto. Emi Sasagawa is a graduate student at the UBC School of Journalism specializing in global politics reporting. She holds a Bachelor of Science in International Relations from the London School of Economics and Political Science. Her work has been published by The Tyee, Megaphone, The Huffington Post and AlterNet, in addition to Brazilian publications. She is currently a research assistant at the SMARTTLab, a space dedicated to understanding the interaction between social networks, the media and public discourse. Emi is fluent in English, Spanish and Portuguese. 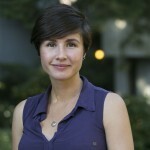 Linda Givetash is a multimedia journalist specializing in health and aging at the UBC Graduate School of Journalism. Her work has appeared on News24 in South Africa, CiTR 101.9 FM in Vancouver, the Georgia Straight and the Waterloo Region Record. She holds a BA (Hons) in English and Sociology from Wilfrid Laurier University. Linda’s current work is supported by a health communications grant from the Canadian Institute for Health Research. Darryl Hol is a second-year student at the UBC Graduate School of Journalism focusing on refugee mental health. He has worked in national radio at CBC News and in national television at Global News. His written work has appeared on CBC.ca and his audio work has aired across Canada on CBC Radio One. He holds a Bachelor of Arts in Political Science from UBC. 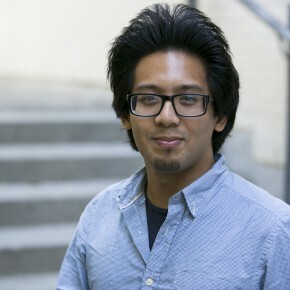 Darryl was the recipient of the Global National Student Scholarship and his current work is supported by a grant from the Social Sciences and Humanities Research Council of Canada. 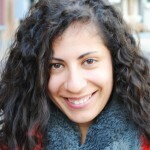 Hala Kamaliddin is a fellow in the International Reporting Program. She is in her second year Master’s of Journalism student. She interned at CBC Local News Toronto and Vancity Buzz. Her passion lies in issues pertaining to human rights, multiculturalism, marginalized people, and foreign affairs. After spending 20 years in the Middle East, Hala aspires to be an international reporter with a particular focus on conflicts in Middle East and North Africa. Her current research is focused on skilled immigration to Canada. 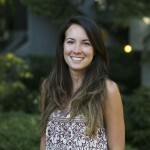 Maura Forrest is a second-year student in UBC’s Graduate School of Journalism. She has worked for CBC’s radio science program, Quirks and Quarks, as a news reporter and current affairs producer at CBC North in Yellowknife, and as a reporter at The Tyee in Vancouver. She specializes in science and environmental journalism, and she is particularly interested in energy development and natural resources. She is the recipient of the 2014 CBC Mowatt Student Journalism Prize, and her work has been funded by a Social Sciences and Humanities Research Council scholarship.